Our best stuff captured on video. Looking for insanely great ideas for your next renovation project? 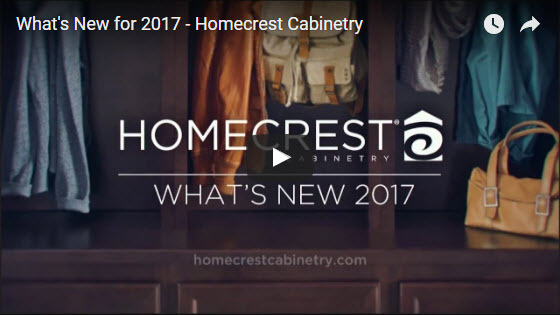 You'll definitely want to browse our cabinet video library. Simply click on the link to view, then sit back and enjoy the show. Discover why Homecrest is trusted time and time again to bring ideas in the imagination to life. Check out all that's new for 2017! Exciting adventures unfold with two wood-tone finishes, modern aluminum frame door options, ingenious storage solutions, and so much more. See how our SofTouch™ system for cabinets lets you open and close doors and drawers completely, easily and quietly.